Orlando's newest Main Street program will celebrate its official grand opening this Saturday, November 3rd! Curry Ford West is a 1.5-mile segment of Curry Ford Road that runs from Warwick Street to just past Conway Road. The festivities will go from 10 AM to 1 PM with the official ribbon cutting to take place at 11 AM. The grand opening event will feature live music and a market of local vendors who have businesses in the neighborhood. Vendors at this event will include King's Pizza Curry Ford, Kelly's Homemade Ice Cream, Peaceful Peacock Yoga Studio, and TCG Salon. City of Orlando Commissioners will also be present at the Curry Ford West event. 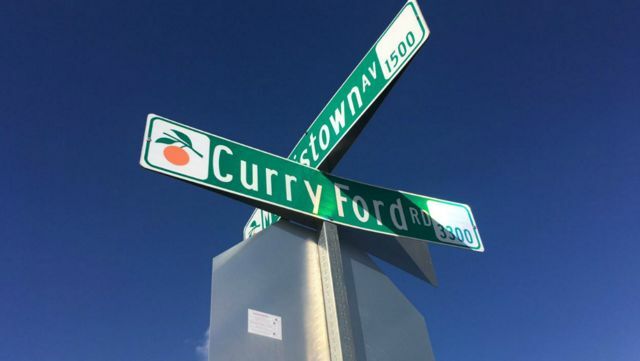 The stretch of Curry Ford has recently seen significant development, but for years it has been known as an awesome area to eat and drink in Orlando. Established businesses like craft beer bar Roque Pub, microbrewery Ocean Sun Brewing, eatery JJ's Grille, and Italian joint PIZZA BRUNO have recently been joined by a new Foxtail Coffee | Hourglass District. This popular Orlando coffee shop is also home to the Leguminati vegan kitchen as well as a craft beer bar. Directly across the street, Longwood's Hourglass Brewing is building a second taproom location. The Orlando Main Street Program gives neighborhoods the funds to promote growth and aid job creation. Now, Curry Ford West will join the ranks of Orlando's eight established Main Streets. Other great districts for food and drinks in Orlando include The Milk District, Mills 50 District, Ivanhoe Village, College Park District, and Thornton Park District. Attend the Curry Ford West Grand Opening ​this Saturday, November 3rd from 10 AM to 1 PM to meet some great local businesses and city officials as well as to learn how to get involved with this growing neighborhood in Orlando.